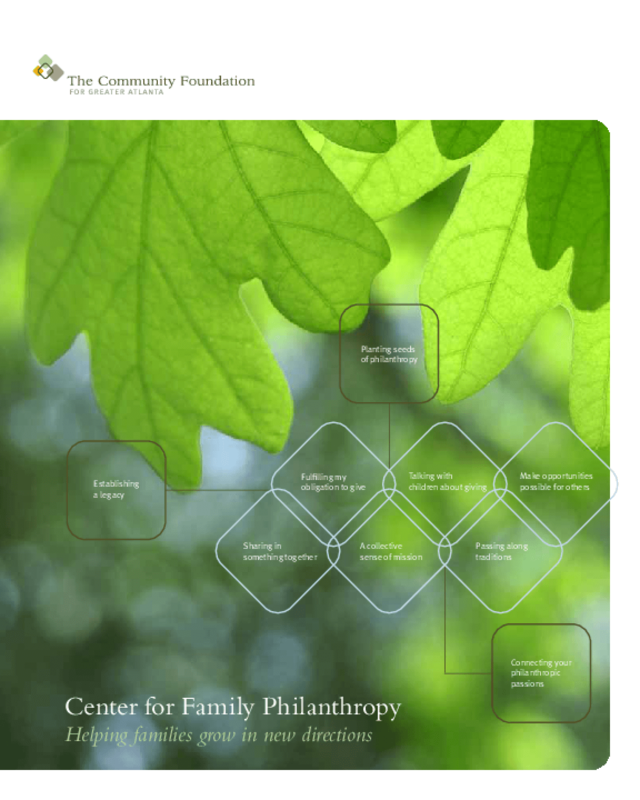 Outlines the center's multi-generational approach and the information, resources, and customized service it offers to help donors expand their philanthropic engagement and connect with effective nonprofits. Includes donor profiles. Copyright 2010 Community Foundation for Greater Atlanta.